IBS (irritable bowel syndrome) is a complex condition. The link between the gut and triggers – including stress, anxiety, and a variety of food-triggers is not always well understood. Besides CBT and relaxation therapies (these are great), people often find that diet is a big factor. There is good evidence that increasing fibre, particularly soluble fibre is shown to improve symptoms, and some find a diet low in FODMAPS helps. FODMAPS are compounds found in many foods that some people find hard to digest. 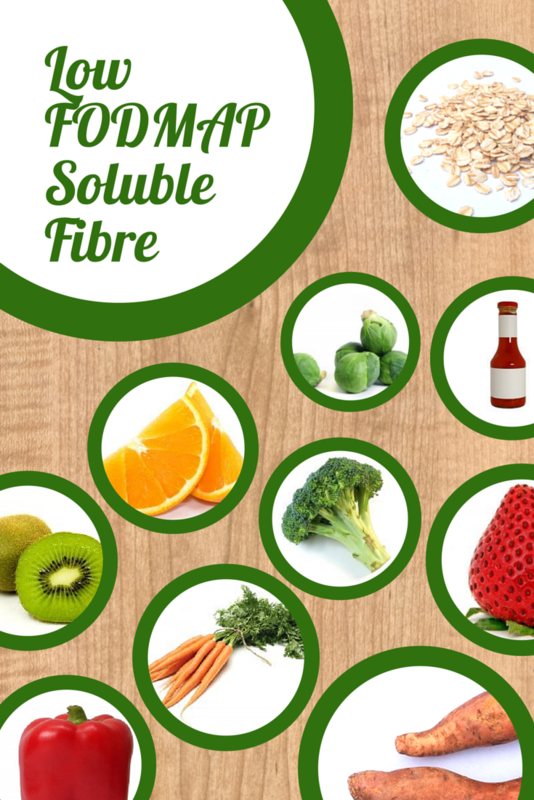 Soluble fibre can be taken in the form of psyllium husk supplements, but if you want to increase your soluble fibre in your everyday diet, I have made a list of foods that are high in soluble fibre (at least 40% of the fibre is soluble) and are low in FODMAPS. Slowly increasing these foods is a good first step to improve your IBS symptoms. *people particularly sensitive to FODMAPS should not have more than 1 serve of these foods per meal. Remember that IBS is a very individualised condition – if these foods are triggers for you, don’t feel you have to add them! Making small changes and keeping a food diary of symptoms will help you see what foods make a difference. What to do when you have WAY TOO MUCH silverbeet. FAQ: Is fruit juice better than fruit?